The Minister for Foreign Action, Institutional Relations and Transparency, Alfred Bosch, today chaired a meeting of the Emergency Humanitarian Aid Committee to deal with the crisis in Mozambique caused by Cyclone Idai. The meeting was attended by the Director General for Development Cooperation, Manel Vila; the director of the Catalan Agency for Development Cooperation, Carme Gual; and representatives of some twenty entities and institutions, including the Barcelona City Council, the Catalan Fund for Development Cooperation, the Catalan Council for Development Cooperation, Red Cross Catalonia, Oxfam Intermón, the UNHCR, UNICEF and Doctors Without Borders. The Government of Catalonia, through the Catalan Agency for Development Cooperation, supports the Central Emergency Relief Fund (CERF), the UN’s rapid emergency funding mechanism. CERF activated the response in Mozambique in the days after the cyclone hit, with actions in the fields of health, food, protection and education, prioritising vulnerable groups such as children, pregnant women and people with disabilities. The Catalan government provided €200,000 to the fund in 2018. This year its contribution is expected to increase to €290,000. To facilitate a speedy response by the Catalan government, Vila and Gual travelled to Mozambique a few days after the cyclone hit to strengthen collaboration with Catalonia, evaluate alternatives for channelling Catalan humanitarian action, and actively participate in post-cyclone reconstruction efforts. Catalan entities responded quickly to the crisis, mobilising resources and putting people on the ground in the days following the cyclone. Alfred Bosch underscored the importance of mobilising the public in emergency situations: “NGOs are carrying out fund-raising campaigns to involve the public and help the people of Mozambique.” The Catalan Fund for Development Cooperation has called on municipalities to raise aid funds. UNHCR Catalonia, the Comunitat de Sant Egidi, Oxfam Intermón, World Vision, the Red Cross and the Catalan Fund for Development Cooperation are also raising funds through their websites. Mozambique is a priority country for Catalan cooperation. 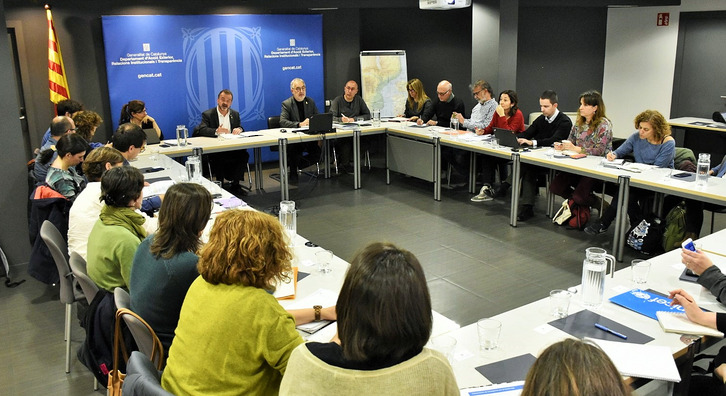 The Catalan Agency for Development Cooperation has a representative on the ground, and many Catalan NGOs and local partners are active in the country, including Red Cross Catalonia, Arquitectura Sense Fronteres, Enginyeria Sense Fronteres, Ulls del Món and IS Global, among others. There are also several collaboration agreements in place, including one between the Barcelona City Council and the city of Maputo, and another between the Government of Catalonia, the Barcelona Provincial Council, and the province of Inhambane in Mozambique. · On 14–15 March, Cyclone Idai devastated parts of Mozambique, Zimbabwe and Malawi. · The cyclone was accompanied by heavy rains that caused severe flooding. · The Mozambican provinces of Sofala, Zambezia, Tete, Niassa, Manica and Inhambane were the hardest hit. There have been 501 deaths, and 100,000 homes have been affected by the cyclone, half of them totally destroyed.